HRANA News Agency – Rasoul Bodaghi, trade unionist who had been recently released from prison, was arrested by the security forces when he went to hospital to visit Mahmoud Beheshti Lageroodi, Imprisoned teacher who is in hospital. HRANA News Agency – Tehran Province Appeals Court upheld the sentence of three years in prison for Rasoul Bodaghi, imprisoned teacher in ward 7 of Evin Prison. 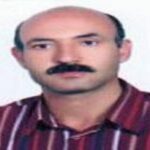 HRANA News Agency – Rasoul Bodaghi, imprisoned teacher, has been transferred to ward 7 of Evin Prison. HRANA News Agency – Teachers’ Union of Kurdistan has issued a statement on the occasion of Teacher’s Week in Iran.In this statement, Teachers’ Union of Kurdistan recounts the problems facing the union and the weaknesses of our country’s education system and demands the release of its imprisoned members.To commemorate May 9th and the shocking execution of Farzad Kamangar, Teachers’ Union of Kurdistan has named May 9th to be a day to reject violence and defend the right to live.Farzad Kamangar was a union member and also a human rights activist who was executed by the Islamic Republic of Iran on May 9, 2010. It was exactly this time.We were all energized, bustling around with our hearts full of joy because our day was approaching.With the words “Teacher’s Day” on our lips, we wrote a statement and gathered at Abidar1 to recount many years of pain.Long ago, Samad Behrangi wrote about the same pain while delving and probing into educational issues, and now that more than thirty years has passed after the revolution, we still struggle with the same set of problems. They said that it was Teacher’s Week! ?They held meetings and made much ado about nothing while getting on their soapboxes, blowing hot air and complimenting each other for making a difference in these youngsters’ lives.We stared and only watched; they didn’t allow us to say anything, but we thought how long they could keep up with all the prayer and praise.We were all worried about Rasoul’s children who were awaiting his return.What exactly had Rasoul Bodaghi and Hashem Khastar said? At the foot of the mountain, we talked and said all there was to say without endangering senior management’s careers in the education system or threatening their bottom line.Far from the senior managers’ advice on the virtues of silence and away from the prying eyes of Herasat’s2 closed circuit cameras, we talked for hours about our pupils’ pain in the classroom.Without endangering national security, we talked about child labor. We were happy since Farzad’s attorney had informed us that he was to return to us, and the villages of Kamyaran [Kurdistan Province, Iran] could embrace him.Repeatedly we mentioned Teacher’s Day while they proudly rubbed Teacher’s Week in our faces.It was exactly Teacher’s Week, and in front of our bewildered gazes, they took him away from us at dawn, and no one saw him again.Now, at night, he twinkles in Kurdistan’s grief-stricken sky. The year that we have put behind us was a year full of events and changes in Iran and the Middle East.It has been years that neo-conservatives have imposed their policies on people all around the world.The outcome of these policies has been privatization, unemployment, cancellation of subsidies, layoff of workers under the pretence of workforce adjustments, warmongering and militarism, weakening and dissolution of trade unions, reduction of education budgets, decreasing health insurance and social benefits, and in many countries, an increase in retirement age under the excuse of government cost-saving ideas. The blatant attack on people’s basic rights in the Middle East became further apparent through the violence displayed by the police, security forces, and military governments.Threatening political rights became the means by which such countries utilized in order to impose this economic disaster on people.Nonetheless, declaring long periods of time as the state of emergency and the rule of terror didn’t deter the masses from trying to change the situation.As we have witnessed, a hung tsunami of change has washed over the Middle East and North Africa in the name of pursuing happiness and democratic rights.By making numerous sacrifices, those seeking freedom are achieving new victories every day, and dictatorships are vanishing each day. Along with the spirit of twenty-first century human beings in quest of freedom, the members of Education International have not remained silent.The global federation of teachers’ trade unions has jumped into action to fight against new worldwide policies through which education is overshadowed by profit margins, and quality is sacrificed for the sake of quantity.This year, the World Congress of Education International will meet in South Africa in order to address the same issues.Obviously, the representatives of teachers’ unions throughout Iran will attend the World Congress, and with one voice together with all other teachers of the world, we will defend our democratic rights and also the right to education. By placing profit at top of their agenda, recent governments in Iran have also imposed undue burden on the working class.The elimination of subsidies has made this policy apparent.In Iran, the right to form unions is not recognized.In other words, the majority of the society has been denied its legitimate right to negotiate and bargain with the government that plays the role of a major employer.Social insurances don’t have sufficient resources through which effective services can be offered to the community.Unemployment insurance hasn’t been designated for people over eighteen, and the nightmare of white signed contracts3 have become an integral and inseparable part of people’s daily lives. Unfortunately, the implementation of removing subsidies has not accounted for any of these issues.Considering that minimum wage is not significantly different from last year, soaring prices and repeated sanctions imposed by the Security Council have driven a greater percentage of Iranian families below the poverty line.This means that a large number of school age children leave their classrooms behind as they head to the job market in search of work.Meanwhile, deviance and criminal behavior is on the rise. The atrocious story of education in Iran is a long, tragic tale piled up in the hearts of teachers throughout this land from Balochistan to Gilan, from Azerbaijan to Kurdistan, from Turkmen Sahra to Khuzestan, from Lorestan to Kermanshah, and from Ilam to Hormozgan.In the remotest corners of Iran, the sad story of education and forsaken enlightenment and intellectualism is a tale of deprived children, broken-down school buildings, substandard school books, archaic teaching methods, and under-appreciated, forgotten hardworking teachers, the same teachers who reflect the misery of their deprived pupils, the same teachers who despite poverty still lovingly keep the candle of knowledge burning in stormy nights. Enduring imprisonment, exile, deportation and even flogging has become the reward for safeguarding thoughts and the praise for intellectuals.Governments come and go, and ministers hand over their responsibilities to their successors.Sometimes, they talk about changes and transforming structures, books and creating new positions or eliminating the old ones.However, it has been long since nothing substantial or worth remembering has occurred.After this useless period, we return again to the same old education system while no one is held responsible for wasting so many resources and so much energy.More importantly, no one is held accountable for the game played with a generation trapped in an education system that uses them as laboratory rats. We believe that the problem is not only blocking teacher involvement but also is related to the decision making process which ignores teachers, the most important element in education.It must be acknowledged that creativity and vitality is nurtured in a democratic environment and in an atmosphere of respect for the dignity and basic rights of teachers. When Mr. Haj Babaei was appointed as the education minister, teachers’ trade unions were delighted since after a long time, someone with positive tendencies and inclinations was chosen.During his term in the Parliament, Mr. Haj Babaei was willing to meet with the representatives of trade unions while ignoring government red tape and restrictions.Unfortunately, teachers were disappointed very soon as the process to eliminate critics sped up, and the pressure on trade unions increased.Meanwhile, there remains no place for teachers in the colossal ministry of education, and there are apparently no plans to transform the disappointing environment dominating over our schools into an atmosphere of informed, mutual participation and service. Is it possible to envision a fundamental change in the quality of education without democratizing the education system?School curriculums change, and new school hours are implemented without the input of main players namely teachers.In the twenty-first century, teachers are treated as if they are subjects receiving sacred and holy commands from the above and are given orders that are binding and may not be questioned.As a result of a policy that considers “master’s word to be God’s word,” human energy is wasted, teachers are discouraged, and the education system is stagnant.Additionally, teachers witness the ineffectiveness of the education system every day but have no means by which they can inform the public or concerned parents.However, we feel a sense of responsibility to communicate the ongoing, pending disaster to our students’ parents in any which way possible. 1. We demand the immediate and unconditional release of our jailed colleagues, Rasoul Bodaghi, Hashem Khastar and Nabiollah Bastan and call for the dismissal of all pending cases against union activists in different courts. 2. We demand removing the ban on the publication Qalam Moalem [Teacher’s Pen] which is Iran’s only independent journal of educators. 3. As you are aware, May 9th is the anniversary on which Farzad Kamangar, a board member of Teachers’ Union of Kurdistan, lost his life.While honoring the humanitarian efforts of this noble and revered educator and with the slogan of “rejecting organized violence and defending the right to live,” Teachers’ Union of Kurdistan asks all educators to light a candle in their classrooms to commemorate this day.We request all teachers to designate their lectures on May 9th to be a lesson on rejecting violence in any shape or form.We shall teach the children that human beings regardless of their ethnicity, religion, language and social class are equal.We shall rise up to fight materialism and warmongering and consider seeking peace to be the highest human virtue.We shall replace animosity and hostility amongst nations with love and alliance. At the end, Teachers’ Union of Kurdistan congratulates the International Workers’ Day, May 1st, to all workers and declares the union’s support for their demands. 1.Abidar, a mountain east of Sanandaj, is a major recreational area in Iran’s Kurdistan Province. 2. Herasat is Iran’s semi-secret police tasked to monitor all educational institutes throughout the country. 3. “White signed contracts” are in effect white papers that workers in Iran sign allowing employers to determine all the terms of employment.